Robin Givens is gearing up to bring the heat on OWN in a new family drama series, "Ambitions." Produced by Will Packer, "Ambitions" is about a multigenerational family saga centered around one woman (Essence Atkins) who, having recently relocated and intent on revitalizing her marriage, finds herself going head to head with some of the most powerful and deceitful players in the city. The series was created by executive producer/writer Jamey Giddens (The Rich and The Ruthless) from an original idea by Will Packer. Robin plays head strong Stephanie Carlisle, the wife of Atlanta Mayor Evan Lancaster (Brian White), whose true loyalty is to her own family’s prestigious law firm, where she is the latest in a long line of distinguished lawyers, according to Deadline. Stephanie is stuck on being in charge of the Carlisle family law firm and quietly fumes about her father Stephen’s condescending assertion that she’s simply not ready yet. 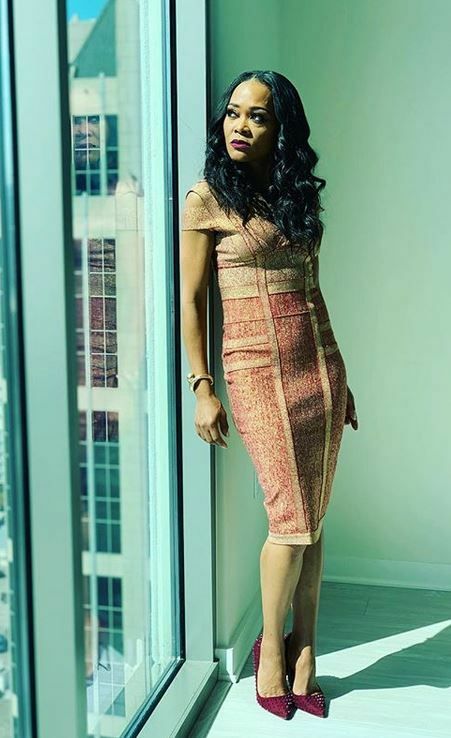 Essence portrays Amara, a lawyer in U.S. Attorney’s Office who has newly arrived in Atlanta with her husband, Titus (Kendrick Cross), according to the site. Originally from Texas, she is quickly gaining attention from the U.S. Attorney’s Office as a diligent prosecutor but disappoints her supervisor by turning down the offer to run point on a major local case. Rounding out the series regular cast are Brely Evans (Being Mary Jane) and Erica Page (Ozark, Bad Dad Rehab). Kevin Arkadie (The Quad, New York Undercover) has joined as showrunner and Benny Boom (All Eyez On Me, Black Lightning) directs the pilot episode. White’s Evan Lancaster, the Mayor of Atlanta, is married to attorney Stephanie Carlisle (Robin Givens). Evan’s political ambitions seem to cloud his judgement as he is willing to do anything to get to the next level in his career. Cross’ Titus is an attorney who recently moved with his wife Amara (Essence Atkins) to Atlanta. Titus has been hired as in-house counsel for a big pharma company run by Hunter Purifoy, who is fighting a class action suit brought by the powerful Carlisle family. Evans is Rondell, Atlanta Mayor Evan Lancaster’s (White) sister, who runs a not-quite-profitable restaurant called Thelma’s Place. Page plays Bella, a fashion designer in Atlanta who designs all of Stephanie Carlisle’s (Givens) dresses for her. We're here for the BLACK lawyers and politicians! Get ready. "Ambitions" premieres this June on OWN. 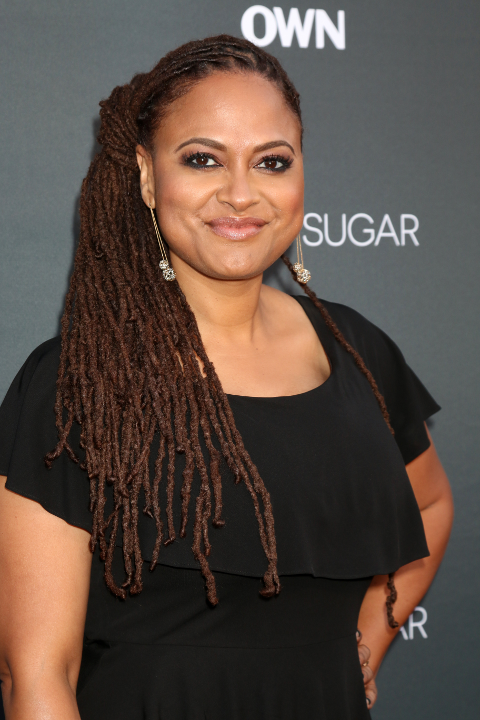 Ava DuVernay and Oprah are teaming up again! "Queen Sugar" is a bonafide hit, and now, they're ready to bring another good series. Under Ava's recently announced overall deal with Warner Horizon Scripted Television, the directress is executive producing a new anthology series titled "Cherish The Day," along with Lady O. OWN gave the series a straight-to-series order because, Ava. Duh. Nah, but foreal. We all know Ava does the damn thing when it comes to telling stories. According to the press release, the anthology series will chronicle the romance of one couple, with each episode spanning a single day. The season-long narrative will unfold to reveal significant moments in a relationship that compel people to hold true to the ones they love, from the extraordinary to the everyday. Sounds interesting. Tanya Hamilton, who previously directed for “Queen Sugar,” has been tapped to be the showrunner and an executive producer. She will also direct the series premiere. Paul Garnes - who collaborates with Ava often and is a “Queen Sugar” executive producer - will also executive produce the new series. "Cherish The Day" is currently slated to premiere in winter 2020. Black love displayed on our TV screens during the cold, winter months? Sign us up. "Stranger Things" is about to get, well, stranger. Eleven successfully closed "the gate" to keep the monsters out, but there's something new ready to take over the small town. It's summer 1985, school is out, and the pool is open. And guess what? There's another slimy creature trying to take over Hawkins, Ind. It's scary and there's a mysterious gunman on the loose as well. "One summer can change everything," the tagline teases. Season 3 of "Stranger Things" doesn't debut until July 4th, but check out the first trailer for the upcoming sci-fi series above.